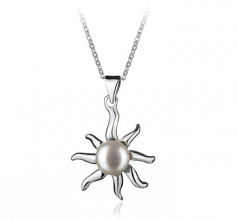 The Sun and pearl pendant necklace is a fun piece. 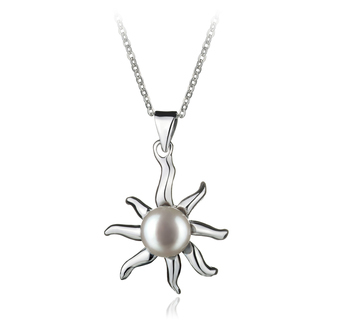 The white bronze pendant features a full sun in all its glory with the outstretched rays lying wide open. 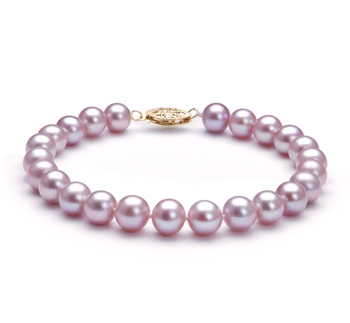 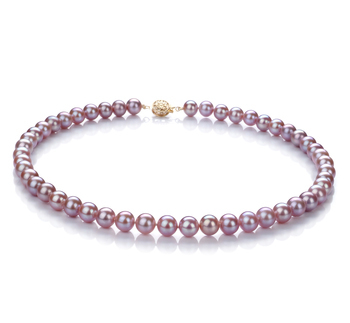 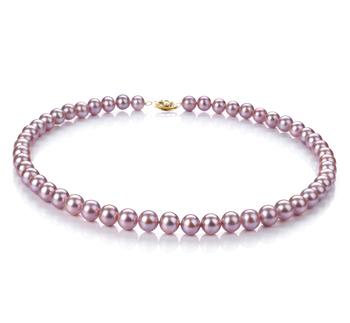 Nestled within its center is the 7-8mm white freshwater pearl. 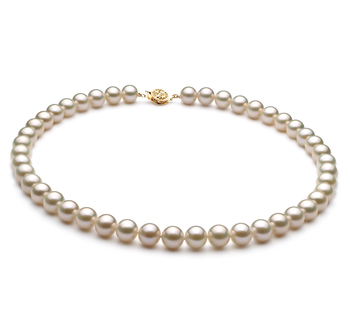 Reflecting off the white bronze, the AA shape of the pearl shimmers with its out of round characteristics and unique style. 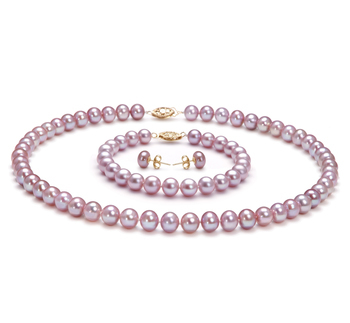 The near perfect mirror like AAA luster plays gently on the surface of the pearl and sparkles throughout the pendant. 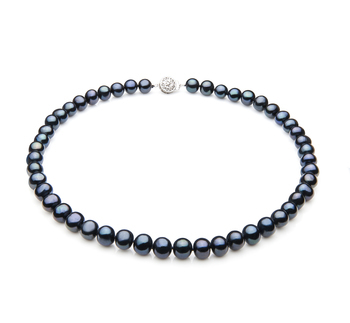 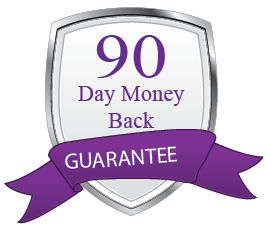 The pendant lies just around your collarbone as it dangles from the included 17 innecklace. 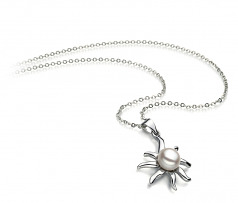 The Nina White 7-8mm AA Quality Freshwater White Bronze Pearl Pendant makes for a nice causal touch to any casual or business attire.